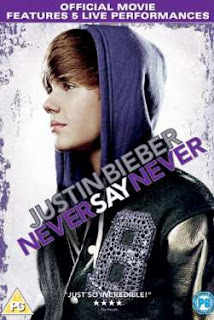 The captivating and inspirational story of a small town boy who became a pop phenomenon through sheer talent and determination takes the stage when the feature film Justin Bieber: Never Say Never debuts on Blu-ray Triple-play (includes Blu-ray, DVD & Digital Copy) and DVD Monday 25th July 2011, from Paramount Home Entertainment. Justin Bieber: Never Say Never follows Bieber’s journey from his early years to his rise from break-out internet sensation to global superstar, culminating in a sold-out show at the famed Madison Square Garden. 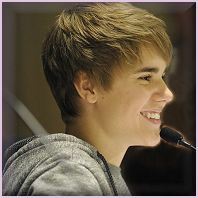 Incorporating personal home footage that chronicles Bieber’s prodigious talent from early childhood, the film also features all-star musical performers including Usher and Miley Cyrus. Paramount have two pairs of tickets to give away for a special ‘meet and greet’ with the teen sensation through an online prize draw - details available in Justin Bieber: Never Say Never Blu-ray Triple play or DVD packs. The winners will travel to LA and have a once in a lifetime opportunity to meet the teen heart-throb - a money can’t buy prize for devoted teen fans. The justin bieber: never say never Blu-ray Triple-play includes a concert dance off that was not shown in cinemas in which Bieber and his crew show off their amazing moves, a full-length concert performance of 'Favorite Girl' from the Director’s Fan Cut of the film, footage of Justin’s team surprising lucky fans with free concert tickets and a final farewell to Bieber’s signature hairstyle. Bring Justin home on Blu-ray and DVD on July 25th, 2011 from Paramount Home Entertainment.